SILVER SPRING, Md. -- At a joint FDA advisory committee meeting Thursday, members voted that an immediate-release version of a hydrocodone/acetaminophen combination product could be approved, but it shouldn't get abuse-deterrent labeling. Panelists voted 16-4 that benzhydrocodone/acetaminophen (6.67 mg/325 mg), or KP201 (Apadaz), proved bioequivalence to similar products on the market, but voted 18-2 that evidence to demonstrate abuse deterrence -- focused mostly on preventing the drug from being snorted -- were lacking. "I think we would like to see an abuse-deterrent product for immediate release that really has an effect, but we have to remain critical," said panelist Tobias Gerhard, PhD, of Rutgers University. "We haven't seen the evidence that this product makes a difference compared to available immediate-release products." KP201, designed by KemPharm, is a prodrug of hydrocodone and is a weak opioid receptor agonist when fully intact. It must be cleaved by enzymes in the gut in order to free the hydrocodone's pain-relieving effects, the company said. Therefore, it doesn't include any of the typical abuse-deterrent properties such as gelling or crush resistance. Currently there are no abuse-deterrent formulations of immediate-release opioids on the market; only extended-release/long-acting (ER/LA) products have thus far been formulated. The five that are approved with abuse-deterrent labeling are OxyContin, Targiniq, Embeda, Hysingla, and Morphabond. Studies of KP201 focused on whether or not the drug could be abused via nasal routes of administration. 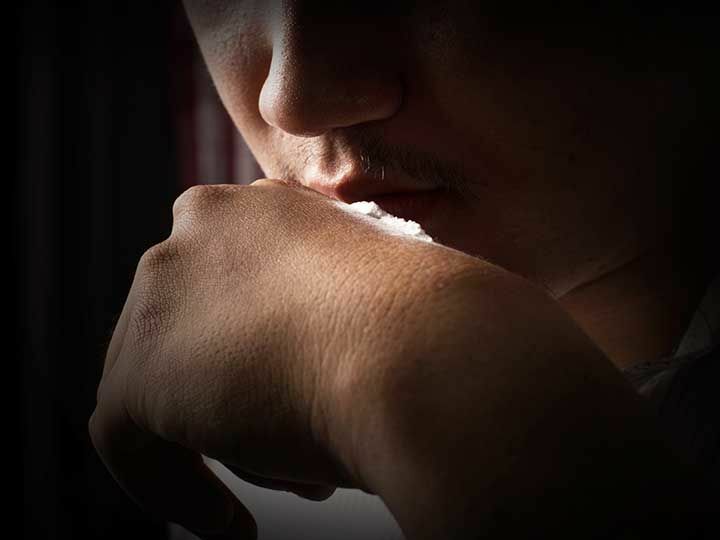 FDA scientist Jana McAninch, MD, MPH, said curbing intranasal abuse may not substantially mitigate the problem of abuse of hydrocodone combination products. She noted that studies show the rate of intranasal abuse of these drugs is about 23%, smaller than the 39% for oxycodone combination products. Still, these products make up a large proportion of overall opioid prescribing, so it may have an impact in that regard, she said. Even though this class was re-scheduled from schedule III to the more restrictive schedule II, scripts fell from 125 million in 2011 to 90 million in 2015 -- which is still a substantial proportion of prescriptions. Panelists were unconvinced that the drug stopped intranasal abuse. "The data fail to show that it has abuse-deterrent properties relative to the comparator," said panelist Brian Bateman, MD, of Massachusetts General Hospital. Panelist Anita Gupta, DO, PharmD, of Drexel University, agreed. "The findings demonstrate that the nasal route was high in drug liking," she said. "The solubility data demonstrate the ability to manipulate the product using a simple solvent. There's no compelling advantage over currently available products." Many committee members also cited the potential for unintended consequences, noting that this drug could be the first ever abuse-deterrent version of an immediate-release opioid. They worried about the ramifications of giving abuse-deterrent labeling to a product that didn't fully deserve it. "I'm concerned about giving prescribers a false sense of security, which could accelerate prescribing," said panelist Charles Emala, MD, of Columbia University. Several also called for FDA to closely scrutinize how the drug would be promoted, should the agency decide to approve it. "I encourage the FDA to carefully consider the launch of marketing materials," said panelist Elaine Morrato, DrPH, of the University of Colorado. "I would hate for those to imply that this drug has abuse-deterrent properties." The Thursday session for the Drug Safety and Risk Management Advisory Committee and the Anesthetic and Analgesic Drug Products Advisory Committee was the third on successive days. They had convened on Tuesday and Wednesday to discuss whether the risk evaluation and mitigation strategy (REMS) for extended-release/long acting opioids has been effective in its first 3 years. The committees voted that its effects were unclear and that, going forward, the educational program should be mandatory and should include immediate-release opioids as well. Members also urged that the education focus on pain management, not just opioid prescribing.